Are you planning an event and would like us to attend? – A pop up shop courtesy of The Sling Space. A locally based shop selling slings and sling accessories with all profits going back into the Slinging London CIC Outreach program. – Sling information stands. Providing free demonstrations, written literature and fitting service. – Event sling hire. We look after buggies and car seats whilst visitors can enjoy your event hands free. Keep your event floor free flowing by encouraging your guests to use our slings for free. 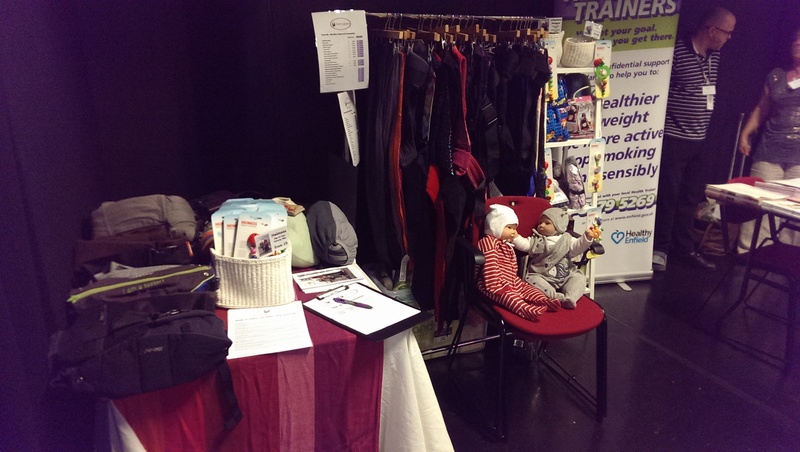 – We can provide information to the healthcare sector about the use of slings in the immediate postnatal period. If you feel we may fit into your event, please contact us to discuss your requirements.